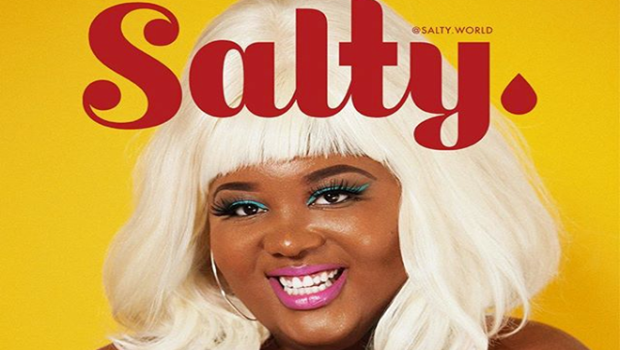 Amber Wagner on the cover of Salty. . Watching this influencer's videos is like having a conversation with your closest friend. If your timeline is anything like mine, it can sometimes become disheartening and draining, seeing perfect images of seemingly perfect people flourishing in life while you feel like you are doing the exact opposite. Amber Wagner AKA @jstlbby (Just Livin' Baby), is here to remind you that you are right where you should be. She's become Instagram's favourite motivational speaker and for good reason. Amber is brilliant at keeping things real. Watching her videos is like having a conversation with your close girlfriend - warm, full of positivity and refreshingly honest. With over 1.5 million followers on Instagram, including SZA, Kehlani, Tamar Braxton, Zazie Beetz, Nicki Minaj, Rihanna and Cardi B, no topic is off limits for Amber - from not letting that man take advantage of you, when to let go of toxic people in your life, to the importance of making the most of everyday. The IG star also has a collection of wigs that just might rival Nicki Minaj's. Her collection of shades and hats are equally inspiring and her most recent looks have included the tiny sunglasses that are trendy right now. We haven't even gotten to those nails yet. Recently, Amber graced the cover of Salty, which she naturally was ecstatic about as it was her first cover shoot. She posted the news on Instagram with the cover photo which was subsequently deleted by Instagram. Speaking to Yahoo Lifestyle, Amber revealed, "It really kind of broke me down. I'm like, well damn I'm just trying to be me, everybody else is doing it, all the celebrities, Kim Kardashian. Why can't I do it? 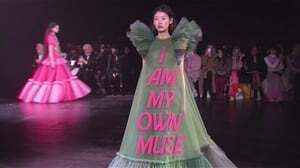 See what I'm trying to say? And mine wasn't even that provocative." Yahoo Lifestyle reached out to Instagram about the deleted photo and demanded an explanation. Just a few hours later, the image was back on Amber's page. Instagram replied to Yahoo Lifestyle with a message from their spokesperson, "This image was removed in error and has now been restored, thanks for bringing it to our attention". According to Yahoo Lifestyle, the spokesperson also highlighted Instagram's commitment to body positivity which includes their recent campaign #PerfectlyMe. However, the platform clearly still has a long way to go. Just in case you are still not convinced that you need to follow this incredible human being, we've put together a list of the best life lessons Amber has blessed us with. IM HERE FOR YU?? & IM ROOTING FOR YU PERIOD?? After this day is over WE WILL NEVER SEE IT AGAIN! It’s never a rerun of the exact same day no matter how much we try to make it 1! This 24hrs will be NTHN like twmrrws 24hrs IF we even make it to see it! So are yu wasting your time? Taking your time? Or making the best out of your time? GRAB THIS MONTH BY THE NECK & MAKE IT YOUR B*TCH!! ???? TAGG yo friend or TXT your friend right now & jst say “ Hey yu were out on my mind hope all is well “ it takes LESS THEN A MINUTE!!!!!!! See ppl don’t always vocalize Whn they are HURT or need someone! So go out yo way sometimes & check up its kost nothingggg ?????? But.... . WHN YO BCK IS AGAINST THE WALL?????? Tag your homegirl & let her knw.. YU DONT HAVE TO DO THAT SIS? ?